Rural Walk (5.5km approx 1hr 20mins) – Discover Market Drayton, Tourism & Visitor Guide. 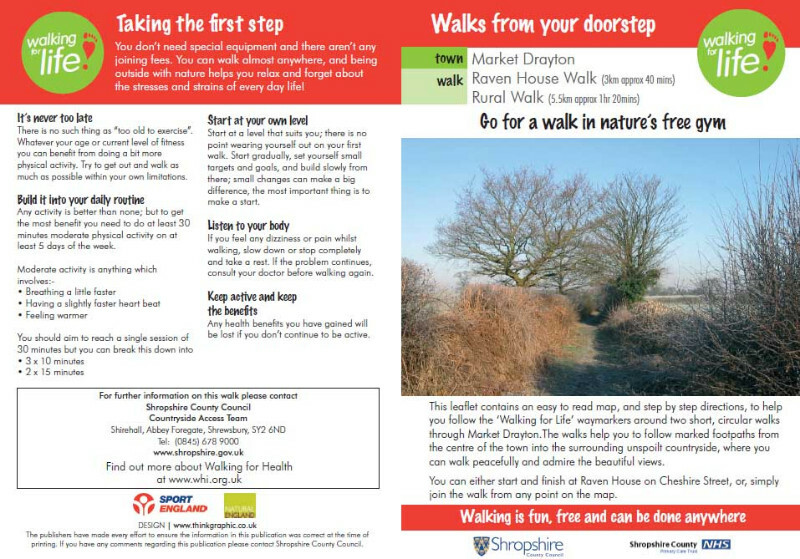 This leaflet contains an easy to read map, and step by step directions, to help you follow the ‘Walking for Life’ waymarkers around two short, circular walks through Market Drayton. can walk peacefully and admire the beautiful views. You can either start and finish at Raven House on Cheshire Street, or, simply join the walk from any point on the map.